Since the Real Housewives of Atlanta Housewives Reunion Part 3 aired on Sunday, I have not hidden my irritation with Phaedra Park’s comment to Kenya Moore in respect to her looking for a sperm donor. I am not sure if it was the fact that she made the comment so public where women who are probably going through the same thing could have been watching that irritated me more, or the fact that she felt she had to go that low to prove a point. Well, Kenya may not know who her sperm donor will be, but I am sure the sperm banks don’t just take only anonymous donors. I am sure they profile donors. Phaedra implied that only low lives donate sperms and I am sure that is far from the truth. I am sure there are some good men out there who just wish to be helpful to women who want babies via sperm donors and not men who need 10 bucks for a pizza like Phaedra said. She kept hammering on the issue of Kenya having no man and the first thing that came to my mouth was, Phaedra needs to chill because Kenya’s story can change at any point in time. Kenya is a beautiful woman who I am sure a lot of men would want to get with in a heartbeat so maybe she just doesn’t wanna end up with any man who will bring constant drama into her life. 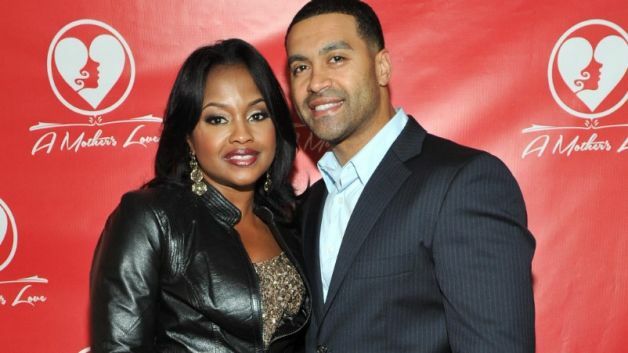 Well, its been 2 days after the show aired and we just got news that Phaedra’s husband, Apollo pleaded guilty to conspiracy to commit bank fraud and identity theft which could see him going back to jail for a while. Now, wont it be ironic if Kenya finds a good man who loves her and is scandal free before the next season starts. Wouldn’t it see the season with Phaedra being manless too? They are to to make an example out of him for real. Watch and trust me when I tell you. Apollo is 100% guilty!! I can’t wait to see how many years he’ll get behind bars. I’ll say 10.